Dee offers counselling in Derby and Derbyshire - a safe space to talk about things that might be troubling you with a fully qualified and understanding counsellor. You’ll be heard, understood and supported without feeling judged in any way. Coming to counselling involves working through any issues you choose to explore in a safe and confidential environment. You may just want to talk about what's troubling you. Or you may want to explore specific issues. Doing this in therapy may help you to get a deeper understanding of your situation and enable you to make changes that you feel will benefit you. We all experience times in our lives when we find things difficult. You might be lonely, or anxious, or sad. Or you might have things in your life you're unhappy about and would like to change, such as a lack of self-confidence or the pain of unhappy memories. Perhaps you might even be experiencing the results of trauma, bereavement or abuse. You might be angry or confused. Counselling is when a qualified and trained counsellor sees a person in a confidential setting and uses therapeutic techniques to allow the person to explore and come to understand their problems. This may enable the person to make beneficial changes. Coming to counselling involves working through any issues you choose to explore in a safe and confidential environment. You may just want to talk about what's troubling you. Or you may want to explore specific issues. Doing this in therapy may help you to get a deeper understanding of your situation and enable you to make changes that you feel will benefit you. 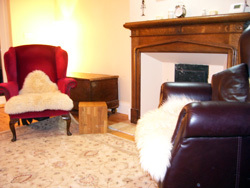 Counselling sessions take place in a place that offers privacy and confidentiality. An agreement is made between you and the therapist about confidentiality and other issues such as times for the sessions, the number of sessions and the fees. The counsellor then works together with you, sometimes for a few sessions, sometimes over an extended period of time, to explore any difficulties your may be experiencing in your life in a way, and at a pace, that you feel comfortable with. The counsellor will offer a safe, non-judgemental environment and a therapeutic working relationship where trust can be built up. This is an essential part of the process, used as a base for you to start to feel able to explore your issues and for the counsellor to gain insight into your feelings and perspectives. The sessions take place in a very relaxed atmosphere. Sometimes sessions can be quite painful before the benefits are felt, and it's important that the environment is one in which you can feel completely safe and secure. Counselling has many background methods and theories, and the counsellor will use different aspects of these to aid in the therapeutic process. Some of them are explained a little more below. You can find out more detail on the website of the British Association of Counselling and Psychotherapy (BACP). Counselling can be useful for people having problems or difficulties in their relationships, experiencing the pain of bereavement or loss, dealing with the results of some traumatic event, or undergoing emotional stress. Counselling can help men, women and even children, from any background. Here are just a few of the issues that counselling and therapy can help you explore and understand. And understanding can be the key to getting control over whatever it is that is causing problems in your life. I see individuals aged sixteen and over for short term and long term face-to-face work. Counselling is just one form of therapy. Sometimes, people come to therapy to begin with and through exploring their issues it may become apparent that other approaches may be more appropriate. If this is the case I might well discuss those options with you and encourage you to seek help from other, more appropriate sources. Counselling can help you make decisions but a counsellor will not tell you what to do. If you feel that you need this kind of help you might be better off contacting information bureaus, advice agencies, telephone helplines, or support and self-help groups. My fees are currently £40 per session (a session is 50 minutes long, but the initial session is 60 minutes). You'll usually get in touch with me by telephone on 0779 288 3972 or by email at . If you phone you might get the answerphone, especially if I'm in a counselling session. Please leave your name and number and I'll get back to you quite quickly. By the end of this first appointment, you can decide if you wish to continue to work with me. Being comfortable with your counsellor is essential and will enable you to get the best out of the work we might do together. I will also give you a copy of a working agreement which details the above information. This is then signed by both of us. We'll discuss a schedule of further sessions. You may feel you require a fixed number of sessions, or perhaps that you might want to work with me over a longer period of time. This will be discussed,and will be your decision. When arriving just knock on the door and I will show you in. Currently there is no waiting area so although I encourage punctuality for each session please do not attend early. I'm a fully qualified integrative counsellor, working in both the private and voluntary sector offering counselling to both women and men aged 16 or over. I'll work with you by gaining insight into your perspective of an issue through listening and using empathy to form a trusting working relationship where you can explore your issues in a safe, non-judgemental and beneficial environment. I have a special interest in and experience of dealing with Abuse, Anxiety, Depression, Eating disorders, General counselling, Identity problems, Loss, Relationships, Self Esteem, Trauma. I'll see adults, couples, the elderly and individuals for both long-term and short-term face-to-face work. I offer a listening and talking-based therapy, but I also offer a creative space using art materials if you might find it beneficial to work through any issues in an alternative way. 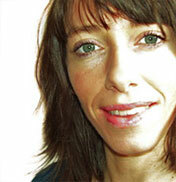 I use aspects of different counselling methods to suit the client's individuality. However, my core is mainly of the psychodynamic model, gaining insight into the unconscious relationship patterns and life-scripts. As we explore past issues this can enable us to have an awareness of how they may impact on our present thoughts and behaviour. This awareness gives us an opportunity for more choice in how we progress in our present and future actions and responses. I'm registered with and fully accredited by the British Association of Counselling and Psychotherapy (BACP). This ensures that I work within an ethical framework that is beneficial to my clients and follow the professional conduct procedures laid down by the BACP. This can be worked out with me. As an example, some people choose to opt for 6 sessions, once a week. Then, after these are finished, I'll discuss with you how you'd like to move forward, reviewing your progress on a regular basis. To begin with, you may just want to talk about how you're feeling and what you're thinking. The sessions may simply feel like a conversation. I listen to you, without judging, and we explore together your feelings, thoughts and behaviour around a particular issue. This may help you to feel supported and more able to make any changes you feel would be useful. How will I know when it’s time to finish with counselling? This is usually when you feel you have achieved a result in exploring your issues. Sometimes this can be earlier or later than any timescale that might have been arranged. Currently my fees are £40 per session (a normal session is 50 minutes but the initial session is 60 minutes long). What if I don’t know what to say or can’t think of anything? We all need time to adjust to our surroundings and who we're talking to. No pressure will be put on you to 'have something to say'. You'll be shown acceptance and empathy at all times. I'm there to support you. What if I see you or we meet outside the sessions? As a rule, it's best if the relationship between the client and the counsellor is kept to within the sessions themselves. This ensures both confidentiality and safety. Sessions are kept on a one to one basis to promote clients' space for free expression of thoughts and emotions. Counselling is a contractual arrangement by which a counsellor meets a client, in privacy and confidence, to explore distress the client may be experiencing. This may be a difficulty, their dissatisfaction with life, or loss of a sense of direction or purpose. Can I be sent for counselling against my will? Counselling is always embarked on at the request of the client. No-one can be ’sent’ for counselling. However, there are some situations where people with influence in our lives (perhaps a relative, manager at work, or teacher) will suggest counselling as a solution to a problem. This should always be offered without any pressure and whether to take the counselling up should always be your choice. Will you advise me or tell me what to do? Counselling can help you make decisions but a I, like other counsellors and therapists, will not 'tell you what to do'. If you feel that you need this kind of help you might be better off contacting information bureaus, advice agencies, telephone helplines, or support and self-help groups. The British Association of Counselling and Psychotherapy Board of Governors has issued a new Statement of Ethical Practice. They ask all members to follow their ethical guidlines and not to practice 'Gay Conversion Therapy'. Baby Bonding Baby Massage in Derbyshire offer Baby massage sessions in and around Derbyshire area. Karen is a Community Nursery Nurse and qaulified in baby massage. You can attend classes or individual sessions at home. 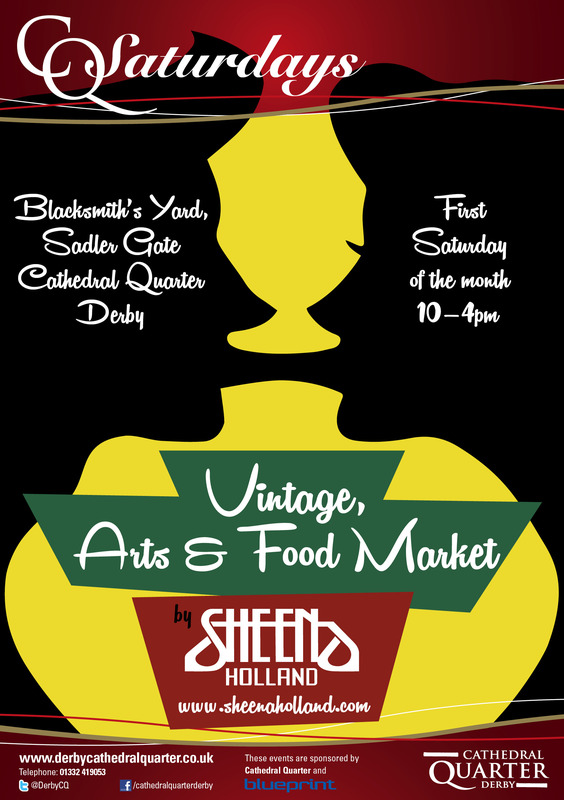 Lintern Therapy is very pleased to sponsor Derby Vintage Arts and Food Market supporting new creative businesses. Lintern Therapy is located in Queen's Drive, Littleover, DE23 6DU, providing services to the whole of Derby and Derbyshire. If you would like to find out more, or talk to me about any aspect of my work, please get in touch using the details below. If you decide you might want counselling, please get in touch with me by telephone or email. The telephone number is 0779 288 3972. If you phone you might get the answerphone, especially if I'm in a counselling session. Please leave your name and number and I'll get back to you quite quickly. Once you've made your first appointment you'll meet with me and we'll take some time to explore the issue or problem that might be troubling you. This allows me to find out a little bit about you, and you to see whether you'd be happy working with me. Between ourselves, we'll decide whether counselling is appropriate to your needs and then agree on the number and times of future sessions. This first meeting is without any further obligation on either side. Lintern Therapy is located in Queen's Drive, Littleover, DE23 6DU.